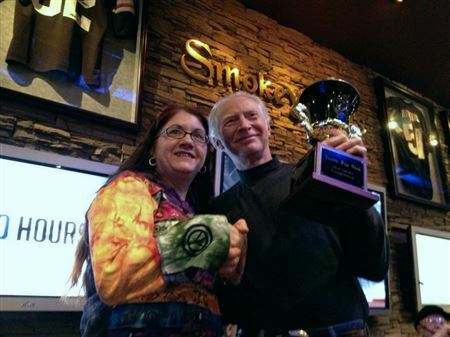 The Seattle Pipe Club sponsored the Western Regional Slow Smoke Competition on November 14, 2012 at 7:00 p.m. in Fife, WA. The Chairman was Matt Guss and the Steward was Rick Willoughby. Pipes were made by Kaywoodie and the competition tobacco was McClelland Anniversary 2010. Roxi Willoughby (picture below) is the new champ with a time of 58:45. She bested a field of 15 competitors including 4 previous champions. She is the first woman ever to win this competition and the first woman to place in the top five and get on our club trophy. 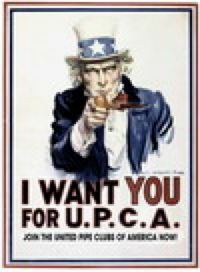 Moreover, Roxi is the first woman to win a UPCA-sanctioned slow smoke contest!